The image on the left was severely underexposed, and when I tried to fix that in post-processing, all I got was a bunch of ugly noise. 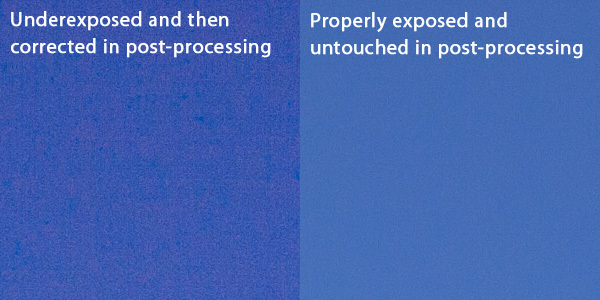 On the other hand, notice how the properly exposed image on the right has virtually no visible noise. As you increase the ISO on your camera, the noise in your images will also increase. With newer SLRs, this noise usually becomes pretty noticeable once you get past ISO 800. So, to avoid noise, use the lower ISOs available on your camera. But, don’t be afraid to use higher ISOs when you truly need them. They come in handy when you need faster shutter speeds, like when you’re photographing birds or wildflowers. Even the extremely high ISOs (ISO 3200 or higher) are useful for some types of images (such as photographing the night sky with lots of stars). Sharpening works by increasing the contrast between light and dark edges, so it’ll actually sharpen noise too and make it stand out more. 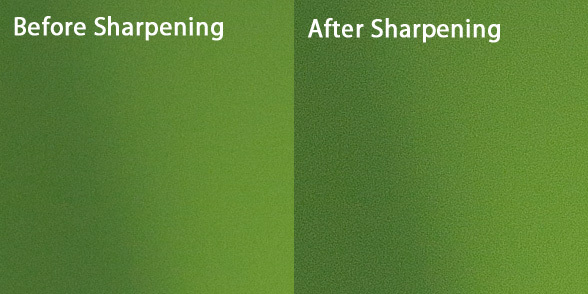 That’s why it’s best to just sharpen the stuff you want sharpened, by using layer masks in post-processing. Notice how the sharpening made the noise more visible? This is why you want to control what parts of the image are sharpened. Once you start getting into longer exposures (anything more than one second), noise starts to become a bigger problem, so most newer SLRs have a special noise reduction option for long exposures. It’s usually buried in your camera’s menus somewhere, but it’s worth turning on for those longer exposures. Thank you, I had just processed an underexposed photo of a Verdin and was puzzled by the noise when I dodged the edges n sharpened. Your articles are a great help. Appreciate the articles and helpful information. Quite a few of them I print out for future reference and they have all helped in my photography world. Hey Steve, nice article mate! Have you ever tried the high ISO noise reduction? Richard – I’ve never tried the high ISO noise reduction, mostly because I haven’t really used the higher ISOs (I usually stick to 100-400). I can see how it’d be helpful for those super ISOs though that come in handy for night time photography (e.g. ISO 1600+). 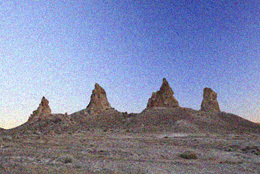 It would probably be a lengthy article but I am sure others would love to know about how to use masks to isolate specific image areas as well as the “median” tool option when working with noise reduction. Thank you again for showing me those techniques up north!! @Robert – Great idea! I think I’ll break up those topics into two separate posts. Great points, Steve. One sharpening technique one guy showed me years ago was to do sharpening only in the ‘green channel’ as that’s the area that defines edges the most, probably like masking in a way. Seems to work and avoids those areas that ‘draw attention’ to our sharpening mistakes.